I’ll admit to being in a low place, which means I play more computer and phone games and watch inane or repeat television shows than do productive things like read or knit. I know some of what’s causing it and that time is just going to have to get me through the next couple weeks, which are likely to continue being hard. However, volleyball starts back up this coming week, sunset creeps later every day, and the ski season is over. I’ve sat outside several days this week and have gone on a couple bike rides. The garden is under way, and we’ll pick our baseball games for the year this weekend. Much like getting pulled under by a big wave at the ocean, I know that if I don’t panic about the sinking feeling, I’ll come out the other side a little battered, but not much worse for the experience. That said, I did start a new book this week: Vaseem Khan’s The Unexpected Inheritance of Inspector Chopra starts on the title character’s final day at work as a Mumbai police inspector before a medically recommended early retirement. It’s also the day he gets a letter from his uncle informing him he’s about to receive a bequest — a baby elephant. I’ve only reached the day after retirement, and already Chopra’s feeling a bit antsy. I don’t think retirement is going to suit him too well. I’ve started carrying around, although haven’t yet started working on, the second sock of my Sock Madness pair. I cast on a random sock twice this month, once with too few stitches and now with too many, so clearly that yarn needs to go into time-out until it can decide it’s going to cooperate and fit a leg properly. Hopefully it will see sense and allow itself to be re-jiggered (60 stitches, maybe) before the next time I need some mindless knitting for a concert or meeting. Yarning along with Ginny at Small Things. Be at the beach. I like to swim in the summer. I like to wade in the spring and fall. I like to walk briskly in the winter. I like to look for shells. I like to watch dolphins swim past. I like to read. I like to picnic. I like to nap. Pretty much everything else I like doing in life is better when done outdoors at the beach. Ride my bike. Rudi and I do not agree on a ton of things about cycling, but we both concur that there is very little point in doing it indoors. It’s also a surprisingly nice way to see a city at the ground level while covering more ground, if you have that option. I’m lucky that I quickly overcame my concerns about biking in traffic, which even some of Rudi’s suburban cycley friends don’t like to do. We also have some very nice bike trails around and just outside the city if you are leery about spending a lot of time in the same space as cars. Oh, and, it makes you very virtuous if you bike to an ice cream shop and then bike home after consuming a cone. Listen to music. Concerts are great at any time of the year in any setting, but they’re especially nice outside. We are partial to the free Friday night concerts at Yards Park, which finds us across town to mark the start of nearly every weekend between Memorial Day and Labor Day. Swim. This partially goes along with #1, but it also applies to lakes, ponds, and pools. I somehow never bring myself to get to the indoor pools here in D.C., but I’m at the outdoor pool by my garden every weekend it’s open, if only for half an hour. Garden. I have indoor plants that live on my windowsill at work, but they are of the ornamental variety. Don’t get me wrong, plant gods, I love when those plants thrive and flower. But there’s something about the plants I grow in my community garden plot that seem especially … real, I guess, and connected to the cycle of living things. Watch baseball games. I grew up listening to baseball on the radio, so I’m really perfectly content with a play-by-play announcer and color commentator and nothing else. However, since moving to a city that now has a team and joining a season ticket group, I’ve grown to see the appeal of early spring and late September games in a stadium. There is a magical moment when the sun gets low in the sky and you start to notice the park lights (unless it’s an overlong day game, they turn them on ahead of time, although that’s always a great scene in baseball movies). Shop. I am lucky in that in our city there are farmers markets practically every day during the spring, summer, and fall, and that I live in the neighborhood with one of the two year-round markets, so I do a lot of my grocery buying there. We also have flea-type markets where you can buy greeting cards, maker markets where you can shop for funky gifts, and Christmas markets where you can stock up for the holidays. Walk. It drives my more suburban friends a little nuts when they come to town and I assure them the fastest way to get down to and around the Mall, museums, and monuments is not, in fact, to take the Metro, but is to walk the two miles down there, walk around, and then walk back. Plus, during tourist season, it’s probably the best way to avoid wanting to stab people who stand on the wrong side of the escalator and then stop one step off of the top of it to pull out their phones and acclimate themselves. Watch movies. Outdoor films have become a big thing during the summer season. Once upon a time, we had to rely on the Screen on the Green to allow us to watch movies al fresco. Now, inflatable screen rentals have become so cheap that you can literally go to the movies outside every night in July and August if you are so inclined. Some film series have themes (office movies, superheroes, presidential flicks), and they range in age from the 1930s to winter releases. There’s something literally for everyone. Drink hot beverages, have a snack, read, and knit. Now, yes, I see how you could make those four separate things, but they aren’t, really. I like to do all those things together, whether it’s outside a cafe or in a park, and whether it’s comestibles I’ve picked up out and about or something I’ve packed from home. How about you? 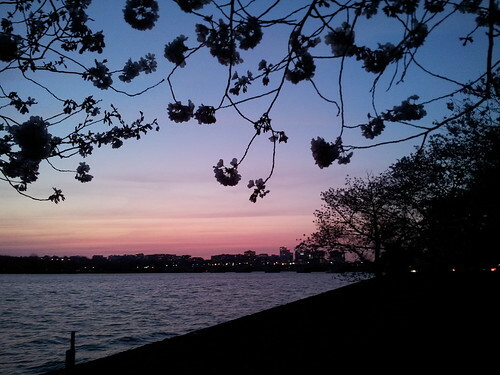 What do you like to do outside? Category: life -- uncategorized. There is/are 4 Comments. 1. Rudi finally came home. 2. Our vacuum cleaner died, but I’d never gotten rid of the 30-year-old hand-me-down from my grandmother (who’d never gotten rid of it after, I’m guessing, my mother gave her a newer, lighter model as a gift) after Rudi and I moved in together. It’s been sitting in my parents’ basement for 13 years, but now it’s sitting in our basement, sucking up cat fur and kitty litter. 3. Sarah and I went to see the Indigo Girls last week. I noticed that Emily, whose voice is normally beautifully high and clear and one of my favorites, was not sounding dissimilar from Johnny Cash’s waver on his final album. “Oh, no!” I thought. “She blew out her voice.” But she and Amy shared they’ve been sick and that Emily was currently on steroids. “I’m so sorry about my voice,” she bemoaned. I wanted to shout down to her that I was delighted she was sick, because that was so much better than the alternative, but that just seemed extremely rude and insensitive (and a way to guarantee that Sarah would never ask me to go with her to a show again). Every spring, Carl hosts a reading event, Once Upon a Time. This year marks the tenth year of the challenge, and I’m excited to participate once again. I’m even eager to review the books, which I’ve been remiss about the last couple years. I’ve found Quest the First is the best fit for me, so I’ll be reading five books that fit into the fantasy, fairy tale, folklore, or mythology genres. Carry On by Rainbow Rowell: A Harry Potteresque school with a cast of characters that includes a chosen one, ghosts, and an evil nemesis, who may also be a vampire. Court of Fives by Kate Elliott: Apparently, it’s Little Women meets courtly fantasy. It got good buzz in my Twitter timeline when it came out. I’ve had it out from the library and it either needs to get read soon or go back to them. An Ember in the Ashes by Sabaa Tahir: Another book I’ve had out from the library for ages. Sarah & I caught part of the author’s talk at last fall’s National Book Festival. I’m not sure if it’s my style (one of the main characters is a soldier), but I ought to at least read a few chapters to find out and return it if it’s not. Echo by Pam Muñoz Ryan: A Newbery Honor book from this past year that features a magical harmonica. Do we really need to know any more? Unnatural Creatures edited by Neil Gaiman: Short stories about magical creatures. I’m noticing several of the books I’ve selected sound awfully intense, which hasn’t been my speed recently. Only time will tell whether I jettison all of the stressful reads in favor of some of the gentler fantasy I have on my shelves and my online queue (and in that list from the other day). Have you read anything recently you’d recommend that falls into these categories? 1. Sarah suggested not baking over the weekend and instead meeting up for dinner at our local pie restaurant on Monday. We got to ride the new streetcar to get there, and even though we had to wait in line for a while, a table opened up just before we ordered. It was a lovely way to celebrate Pi Day. 2. My single finished sock was sufficient to earn me a spot on the Sock Madness cheerleader team, which gets to knit the patterns at our own pace, applaud other competitor’s success, and generally enjoy the event without any of the stress of a deadline. It’s really a nice way to reward those who’ve lost, but made an effort. 3. For the first time in the history of D.C.’s metro subway system, they shut down the whole thing for an emergency inspection. After two electrical fires in the course of a year, the new GM decided it was in everyone’s best interest to do this. It turns out that he was right, with a horrifying number of serious fire hazards found and repaired on their down day. Many people were inconvenienced by the shut down (particularly low-income, hourly workers without their own mode of transportation or the ability to work offsite), but Capital Bikeshare offered free one-day memberships as an alternative, ran corrals in busy areas so riders didn’t have to find an empty dock to return a bike to, and asked members who own a bike (like me) to leave the communal bikes for those without. Their generosity allowed people to make more than 13,500 bike trips, many made by single-day users. Category: three beautiful things. There is/are Comments Off on pi(e), cheerleader, and free membership. Truthwitch by Susan Dennard: The book that all of Twitter was talking about this fall. (Well, at least all of my bookish Twitter). She came to speak in the area last month and I splurged and bought myself a copy. To Catch a Cheat by Varian Johnson: The other book I bought myself this year was Varian Johnson’s follow-up to The Great Greene Heist, which was a favorite of mine a couple years back. It hasn’t gotten as much buzz, but I’m not sure if that’s because several of the bookish people I would have expected to tout it are just reading female authors this year or on its own merit. I’m looking forward to find out, because I love a good caper book/show/film. Most Dangerous: Daniel Ellsberg and the Secret History of the Vietnam War by Steve Sheinkin: I loved (if by loved one means was horrified by but could not stop talking about the content contained within) The Port Chicago 50 a couple years ago, and Sheinkin writes reliably outrageous books that are routinely shortlisted for the best book prizes in the nation. Unnatural Creatures, edited by Neil Gaiman: Rudi gave this to me for Russian Christmas, and I’m looking forward to reading the fantastical short stories contained within this pleasantly chubby tome as part of the upcoming Once Upon a Time reading challenge. Citizen: An American Lyric by Claudia Rankine: I started this collection of poetry last fall, but it got put aside for some reason. I’ll make it a priority to be the next poetry collection I finish. Mansfield Park by Jane Austen: It’s the last complete Austen book I haven’t read, and Karen and I have been planning to read it for months. I’m voting we get it on our calendars in ink this spring (pending her approval, of course). 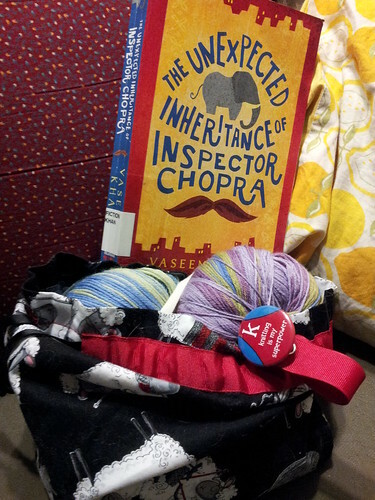 The Unexpected Inheritance of Inspector Chopra by Vaseem Khan: I want to read more international fiction, so thought I’d start with some mysteries/detective novels set around the world. Plus, it features a baby elephant! How about you? What are you hoping to read this spring? Category: books. There is/are 8 Comments.